Whether you’re jamming out to your favorite recordings or watching the latest blockbuster, great sound brings media to life. Just as important as the picture quality of a great TV, the best speakers provide you with an immersive experience that allows you to hear every element of everything you play. These days, the abundance of excellent options out there can make it tough to pick the best combination of value, sound, and style for you. That’s where we come in. 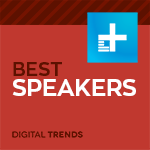 After spending countless hours testing some of the best audio equipment on the market, we’ve tracked down the best speakers available, ranging from desk-ready computer speakers to full-on home theater systems. Why you should buy them: Truly world-class sound at the lowest price-to-performance ratio you’ll find. Who they’re for: The serious audio enthusiast looking for the best possible sound for their listening space. How much they will cost: $2,000 per pair. In terms of getting the highest possible audio quality at non-car prices, there is perhaps no better speaker company on Earth than GoldenEar Technology. 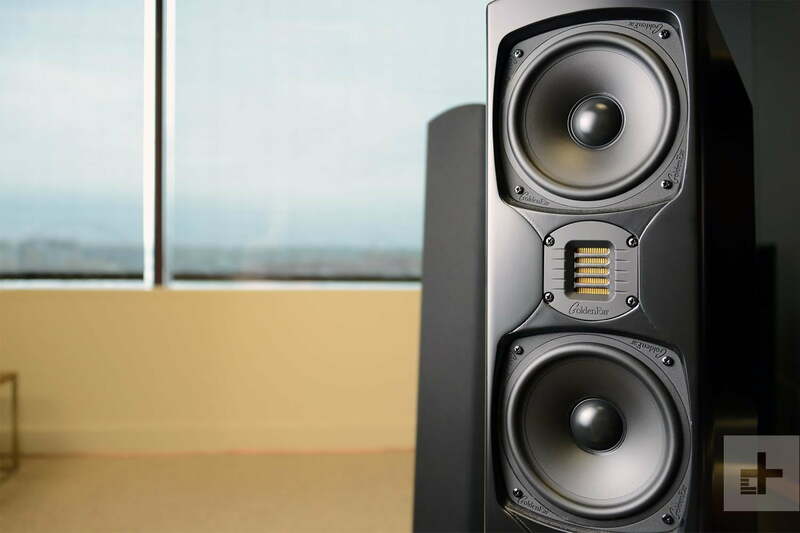 Founded by audio legend Sandy Gross, who previously led standout companies Polk and Definitive Technology to the forefront of great sound, GoldenEar is driven by the same passionate love of high-end sound that brought Gross’ previous business ventures success. Speakers like those in the company’s outstanding Triton range offer superb sound at reasonable prices, and compete against staggeringly expensive options from throughout the audiophile universe at a fraction of the price. A set of floor-standing loudspeakers with sleek black covers, the Triton 5 are unassuming to look at, but more than make up for that in terms of sound. Under the hood, Gross and his team of engineers have managed to manufacture probably the best-sounding loudspeakers we’ve ever heard at their price. 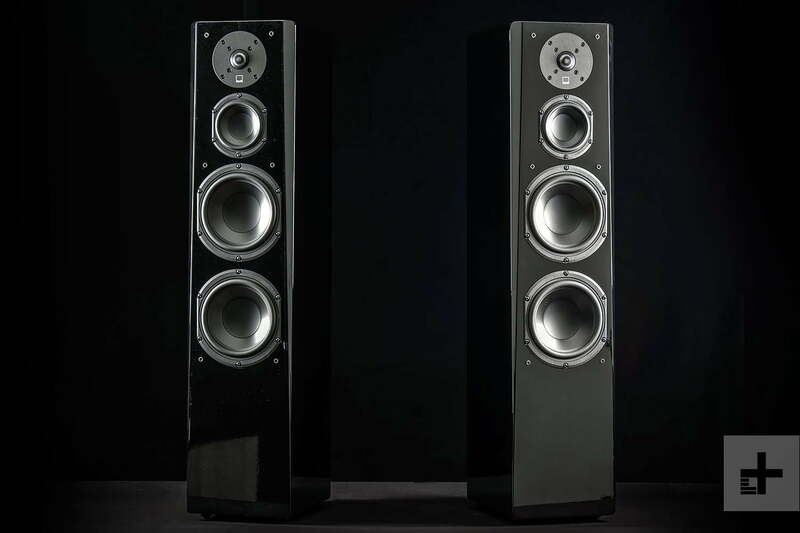 Normally, if you’re looking to get an audiophile-grade set of speakers into your living room or listening area, you’re going to have to spend somewhere between $5,000 and $10,000, but GoldenEar’s Triton 5 bring that same sound quality down to the $2,000 per-pair mark. Two six-inch midrange drivers propel the bulk of the sound towards your eardrums, with a custom designed ribbon tweeter providing superb definition up top. To help with punch, the Triton 5 have four 8-inch passive bass radiators, helping the low-end integrate even better into the overall sound, and giving you just the right amount of ‘umph when listening to hip-hop, funk, and other bass-driven styles. The speakers have a lively and energetic response overall, helping whatever you’re listening to come through with the same vibrant sound that first hit the microphone in the studio. There are very few speakers that offer this kind of fun for so little money, with the Triton 5 providing the kind of constant satisfaction that more than justifies their price, and should last for decades to come. Why you should buy them: Insane sound quality from compact, affordable speakers. Who they’re for: Audio lovers with smaller rooms, serious listeners without corner office salaries. 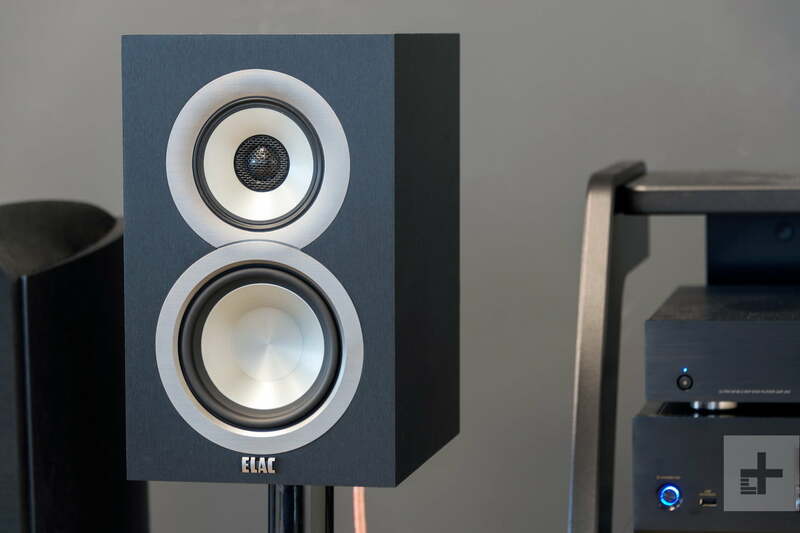 Noted speaker engineer Andrew Jones pulled out all the stops when he designed Elac’s Uni-Fi UB5 model, placing the company’s acclaimed concentric driver design — where the speaker’s tweeter sits in a 4-inch midrange driver — inside an affordable bookshelf model. That concentric driver, which is known for enhancing clarity, combines with a 5.25-inch bass driver to offer flat and dynamic response regardless of what you’re listening to. Few bookshelf speakers have the elegant balance and remarkable accuracy of the UB5, and we’re downright astonished that this level of sound is available at the $350 level. In addition to great sound, silver accents adorn the outside of each speaker cone, providing an elegant look that will fit in even the fanciest living rooms, and solid construction means they should last a lifetime. You don’t have to take our word that the Uni-Fi UB5 are an astonishing set of speakers for the money; with audiophiles around the world raving about their incredible sound quality, it’s about as close to objective truth as these things come. Whether you’ve got a small room or a tight budget, these speakers are easily the best bookshelf models on the market right now, and you’ll never regret owning a pair, even if you upgrade to something larger down the road. Why you should buy them: Gorgeous looks, impressive sound, and no amplifier required. Who they’re for: The streaming music enthusiast who wants the best possible wireless sound. 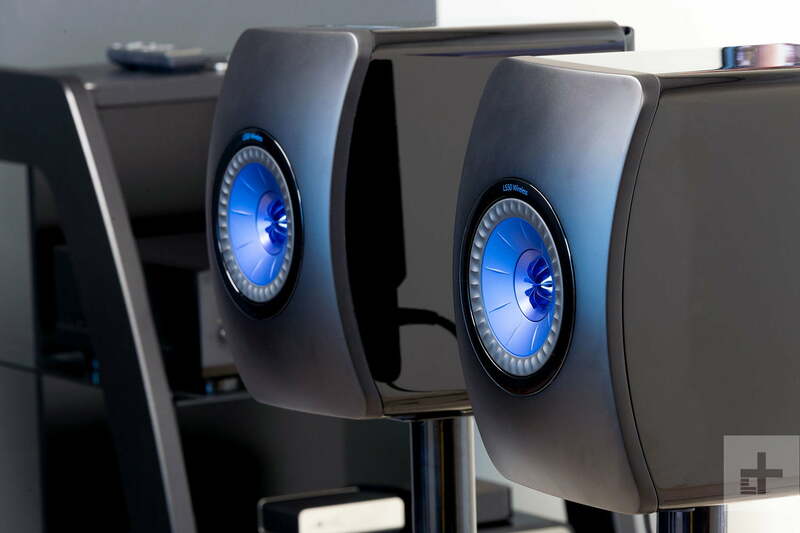 Known for their gorgeous detail and flat response, the wired iteration of KEF’s LS50 bookshelf speakers have long ranked among the most beloved compact speakers in the audiophile world. But when the company introduced an internally amplified wireless iteration in 2017, we were absolutely awestruck. Powerful, precise, and nearly as beautiful to look at as they are to listen to, the LS50 Wireless are easily the best cordless speakers we have ever had the pleasure of auditioning. Controlled by a smartphone app, they support Wi-Fi streaming from your device’s library, as well as Tidal and Spotify, and the speakers can even stream network audio at up to 24bit/192kHz resolution. In terms of wired inputs, you can use optical, USB-A, and RCA. Each speaker contains two built-in amplifiers — one for the tweeter, one for the woofer — that combine for up to 230 watts per channel. That’s more than enough volume to blast music in all but the largest spaces, and makes the LS50 versatile enough to function well where some may have considered placing floor-standing speakers. If you’re looking for big sound without the hassle of outboard amplifiers, preamps, and other gear, there is no better option than the KEF LS50 Wireless. With extreme ease of use, great looks, and even better sound quality, these are the kind of 21st-century speakers that you’ll rave about for a long time to come. Why you should buy them: Outstanding sound quality, great looks, and easy connectivity. Who they’re for: Headphone-weary computer listeners, jack-less phone owners. If you’re tired of putting on headphones to jam out to your favorite tunes at your desk, the Aperion Allaire are the perfect companion. A set of beautiful and compact speakers, the Allaire will take your work area listening experience to the next level. The Allaire offer the best combination of high-end sound quality, versatility, and connectivity in their genre. With Bluetooth, a digital optical input, an analog input, a subwoofer output, and a USB port for charging devices, the speakers aren’t just suitable for computer desks; they are also great in bookshelves and bedrooms. With a 1-inch dome tweeter and a 4-inch woven fiberglass woofer powered by two 50-watt built-in amplifiers per speaker, they pack plenty of punch for any small to medium-size room. The Allaire do have excellent connectivity — and even an included remote to help to play and pause when away from your desk — but what really sells us on the speakers is their outstanding sound quality. They offer rich bass response, pure midrange details, and pristine treble, taking your favorite songs above and beyond almost anything you’ll find at their price. For a desktop that doubles as an entertainment center, there is no better choice. Why you should buy them: Insane performance, striking design, excellent stereo, and surround performance. Who they’re for: Home theater enthusiasts who want gorgeous surround sound when watching their favorite flicks and audiophile-grade stereo when playing their favorite tunes. How much they will cost: $1,000 (towers only), $1,550 (kit), $2,050 with subwoofer. If you’re after the perfect blend of price, performance, and gorgeously detailed sound for your home theater space, there is no better option than the SVS Prime Tower Surround kit. A beautiful set of five speakers that easily ranks among the best we have ever tested, the Prime series will take your home audio experience to the next level. Anchored by a set of audiophile-grade towers — which can easily pump out your favorite tunes in stereo when not serving as part of the larger system — the Prime kit offers an immersive listening experience that is second to none at this price. Sound shifts fluidly between front, side, and rear, providing the kind of detail we typically expect to see in speakers that cost much more money. It is worth noting that the standard five-speaker kit doesn’t come with a subwoofer. For the full, rumbling movie theater experience, we recommend adding one of the company’s excellent subwoofers, like the PB-1000 model. We think 5.0 and 5.1 systems are a perfect starting place for those looking to get into great home theater sound, and a nice stepping stone to larger Dolby Atmos systems without the hassle of hanging speakers from the ceiling or investing in fancy upfiring speakers upfront. Best of all, every speaker in the SVS Prime system can last through upgrades, rather than being the kind of thing you’ll mothball when you decide to make the leap to a bigger setup. Because SVS makes a variety of home theater speakers, finding well-matching sound signatures for eventual expansion won’t be an issue. In fact, those looking to expand to Atmos can grab a set of the company’s Prime Elevation Speakers (designed for the height element of object-based audio), and they’ll be off to the races. If money is tight and you just want excellent sound, the SVS speakers can be had for the lowest cost in simple black ash veneer. Those who really want to impress their friends and relatives can spring for an extra $250 for the piano gloss finish, which shines like a Steinway grand piano at Carnegie Hall. 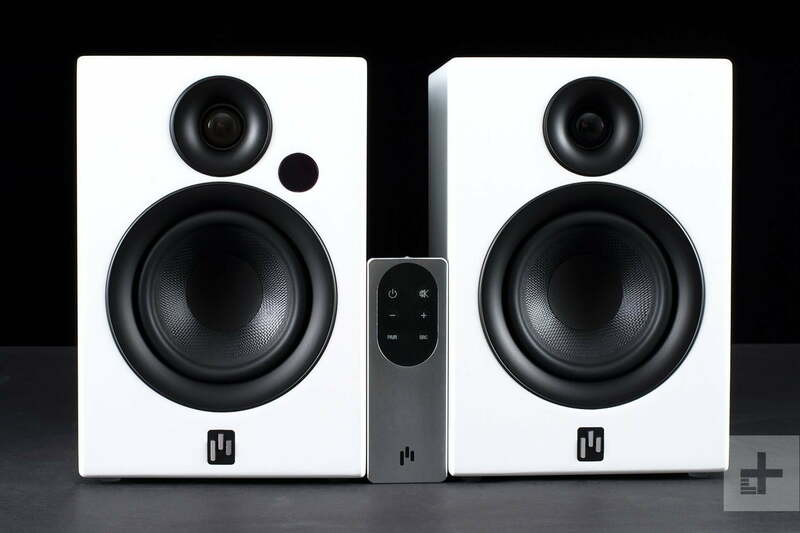 Why you should buy them: Flat, studio-style sound at a very reasonable price. Who they’re for: Musicians, podcasters, videographers, and other creative hobbyists who regularly work with audio. If you’re a content creator who works with audio, be it editing a podcast, recording demos in your bedroom, or producing YouTube videos, you need a revealing set of speakers with very flat frequency response to make sure your sound will translate well anywhere your listeners will hear it. While we’d have previously said JBL’s LSR305s were the ticket, we’ll be darned if the company didn’t come out with something even better to get your studio gears churning. Like their predecessor, the JBL 306P MkII offer the kind of sound signature you expect in a professional studio, but at a shockingly affordable price, and provide you with an extremely useful tool with which to create. In fact, we like the 306P even better thanks to a fuller 6-inch woofer, which offers bigger bass response for even more accurate mixing than the previous 5-inch woofer. That new 6-inch woofer (the middle size in the new line) combines with a 1-inch silk dome tweeter to provide a remarkable full-spectrum response on each side, and with improved waveguide technology, you’ll get an even wider stereo image that allows you to pan your mixes with impressive detail. Volume isn’t a problem either, with plenty of amplification on board providing enough power to fill the vast majority of spaces, and certainly enough for near-field listening — which is what these speakers were designed for. It’s worth noting that, like the LSR305, the 306P MkII only have balanced XLR and TRS inputs, meaning you’ll probably want an audio interface — an outboard component that typically has these outputs, as well as microphone inputs — to get your sound to them. Those interested in using the powered JBLs outside of home studios can do so with some RCA adapters, but an interface is still the best route. If you’re a creative type who wants to get the most out of your projects, JBL’s 306P MkII speakers are tough to beat, ranking among the best value propositions in speaker land. Why you should buy it: It’s loaded with features and offers great sound at a great price. Who it’s for: Those who want a simple and affordable option with excellent features and great performance. Technically, the YAS-207 may not be the absolute “best” soundbar on the market, but for our money, it does everything a soundbar should — and does it in style. For just $300, this bar is absolutely jam-packed with features, including an HDMI input with 4K HDR passthrough at up to 60 frames per second to connect a Blu-ray player or streaming device, HDMI ARC connection with CEC for control of the bar with your TV remote, decoding for both DTS and Dolby sound, and even DTS Virtual:X for height-based virtual surround sound. When it comes to performance, while we aren’t mad for the virtual surround option referenced above, we love the bar in its traditional setting, offering clear, bombastic, and full sound with a wide stereo image and effects that go well beyond the width of the bar itself. Music sounds almost as good as movies, so Bluetooth streaming from your phone is a great option for those without a separate sound system, while TV audio is ramped up in all the right ways thanks to the soundbar’s potent collection of drivers and a powerful outboard subwoofer. We test speakers the way normal people live. We run every speaker through a rigorous process over the course of several days or weeks. That includes playing them in all sorts of scenarios, be it in the listening room, computer room, or at the office, and playing back from our device library, CDs, vinyl, and streaming services like Spotify. For wireless speakers, we also test range, connection stability, and interference in areas with a lot of radio frequency interference (i.e. the Digital Trends offices). For non-powered speaker models, we listen via a variety of amplifiers, ensuring we have a good idea of what each model is doing given different power and sources. Finally, we compare each speaker to some of our go-to models, both in their class and price point, as well as a level or two above to find out if they can punch above their weight. This ensures that we are putting them in perspective with the larger industry, and also cements the way that we think about the price-to-performance ratio of each speaker we test.